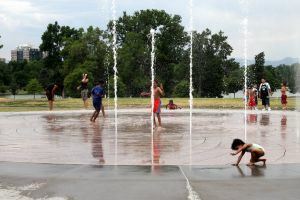 Summers in Denver are all about the festivals. Among one of the most popular is the Film On The Rocks series. These are outdoor screenings at the Red Rocks Amphitheatre of popular films. Every screening comes with a little stand-up comedy, live music and contests for the attendees. Outdoor screenings are also taking place at Skyline Park and Infinity Park. Meanwhile the Civic Center is holding bike-in movies. It’s just like a drive-in but without the carbon emissions! Of course, there is nothing stopping you from having your own backyard screening. There are several companies in the Denver area who will rent an outdoor screening set up. If you’ve got projector and white wall, you can get your own nighttime movies going. Before that, you might need to do a little decluttering around the yard. That’s where a company like Junk King will be a huge benefit. Junk King is the professional junk hauling service that are the perfect partners for your decluttering project. The bulk of household clutter can easily be picked up with a little effort. This would be all the newspapers, magazines, junk mail and laundry that finds its way scattered around every room. Walking through with two baskets (one for trash and one for clothes) is a good way to turn those rooms around. Junk King comes into play when the clutter objects are too big for the trashcan. You can’t throw a sofa out with the weekly garbage. That’s why you need Junk King. You’re decluttering session with Junk King comes with two able body movers who will do the hard work of moving those heavy objects out of your home. That crew will be taking your clutter to the back of a Junk King truck. Could you fill up a moving truck with all of your clutter? If so, Junk King has the truck for you! To clear the way for your outdoor moving party, Junk King can take away any pile of yard waste, tires, lumber, wood or construction waste. If you’re replacing patio furniture, a grill or your lawnmower give all the old stuff to Junk King. Your fee for all this decluttering is amazingly low. Junk King will only charge you a rate based on the volume of your junk as it will appear on the truck. Decluttering your home doesn’t have to be a drudgework when you’ve got Junk King on the job. This entry was posted in Denver Summer Decluttering Tips and tagged decluttering, Junk King on June 29, 2014 by Paul Durant. Last updated August 1, 2017 . Right now, there are around 60 million tires sitting in Colorado landfills. Those tires are just rotting away. All it would take is one carefully aimed lightening strike to set that rubber ablaze. That is the worst-case scenario. Fortunately, measures are being taken to get these tire piles cleaned up. The governor just signed a bill targeted to close these landfills and get those tires recycled. That’s good news for Denver and all of Colorado. Are there any spare tires around your home that should be hauled away? That sounds like a job for dad. Of course, if those tires are still stacked up behind the garage, then it’s clear that dad’s busy schedule is keeping him from that kind of junk removal. 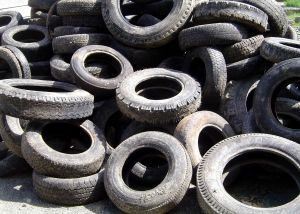 Maybe this Father’s Day you can surprise pop by hiring Junk King to take away those tires and the rest of the rubbish. Cleaning up the yard is a job that often falls to dad. They are the ones mowing lawns, raking leaves and clearing brush. That’s a whole Saturday afternoon. If you put Junk King on the task, then they can clear out the yard without dad lifting a finger. Wouldn’t that make an amazing Father’s Day gift? As long as you’re bringing out a Junk King crew for a little yard clean up, you can also set them loose in your garage and basement. There is no limit to what those capable movers can pull out of your home. Now is your shot to finally toss out those bulk items that have been taking up valuable space. We’re talking about things like old furniture, kitchen appliances, sporting equipment and even construction waste. Anything and everything can be picked up by Junk King to be hauled away. Aside from the benefit of not straining your muscles, Junk King is going to give you an even better gift: time. When they handle the junk removal assignment, you won’t have to rent a truck, hire a crew, load your junk and then drive for hours to the nearest landfill. All the time it takes for Junk King is however long they need to load up your stuff. What does it take to move out a sofa? Five minutes? If that is all you’re throwing out, then that is all the time Junk King needs. When you put Junk King in charge of your junk removal, dad gets to take the day off. This entry was posted in A Great Father's Day Gift Junk Removal From Your Denver Home and tagged Father's Day, Junk King, junk removal on June 14, 2014 by Paul Durant. Last updated August 1, 2017 .